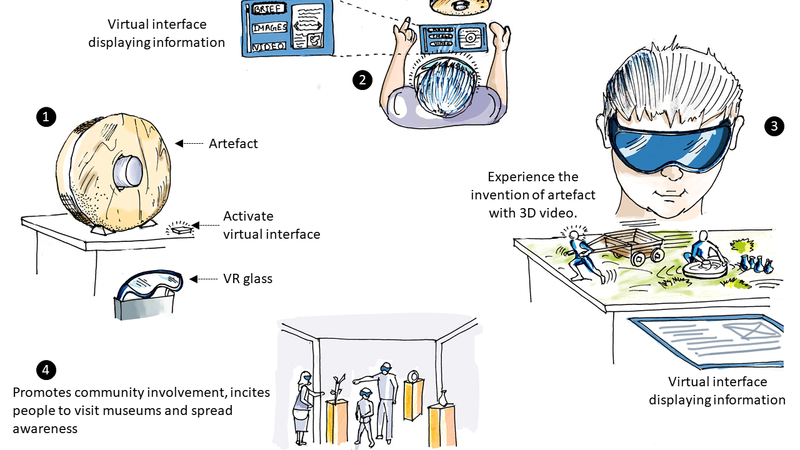 To enhance the user experience in the museum, I conceptualized the design of a system consisting of VR glasses that would provide detailed information about the artifacts along with 3D videos associated with it. 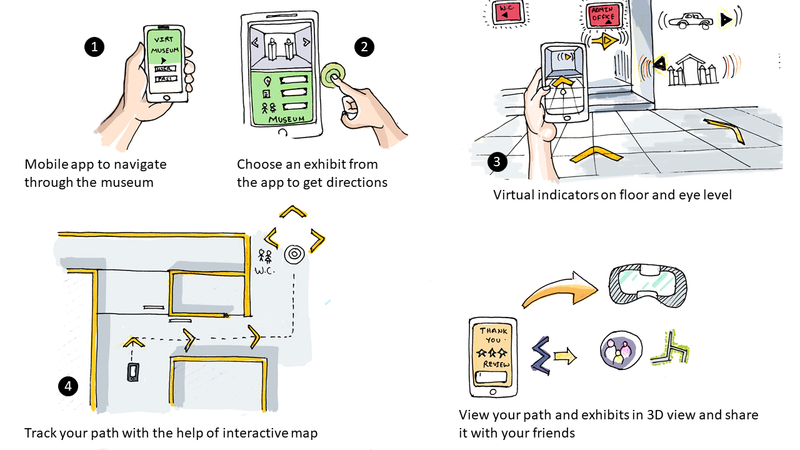 I believe such system would encourage people to visit the museums frequently to check out latest exhibits and learn quickly with visually appealing 3D videos and interfaces. This, in turn, promotes community development and collaboration. Imagine using just your foot gestures to get information about pyramid or other such renowned structures. 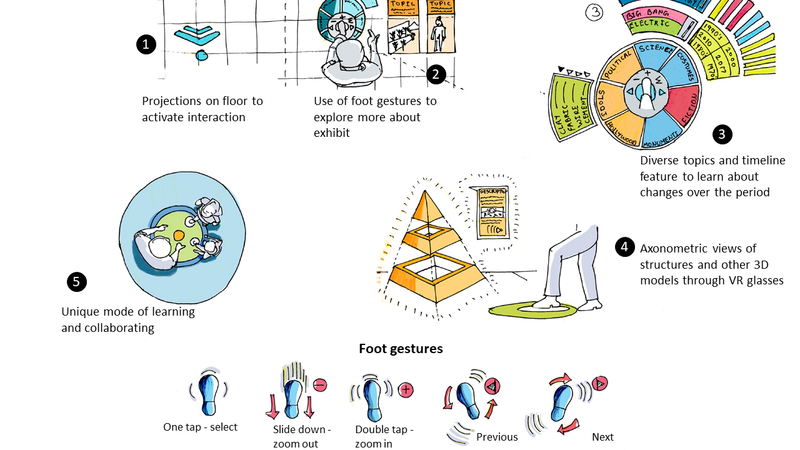 Double tapping the foot on the floor to slide the info and look for an axonometric view of the monument or rotating the foot in the specific directions to trigger some different interaction. I ideated one such interface which can be projected on the floors so that interactions could be triggered using foot gestures. It's real trouble when traveling to different countries due to intimidating culture and language difference. International people face issues in restaurants and local shops where people have little knowledge about English language and rely solely on hand gestures and facial expressions. 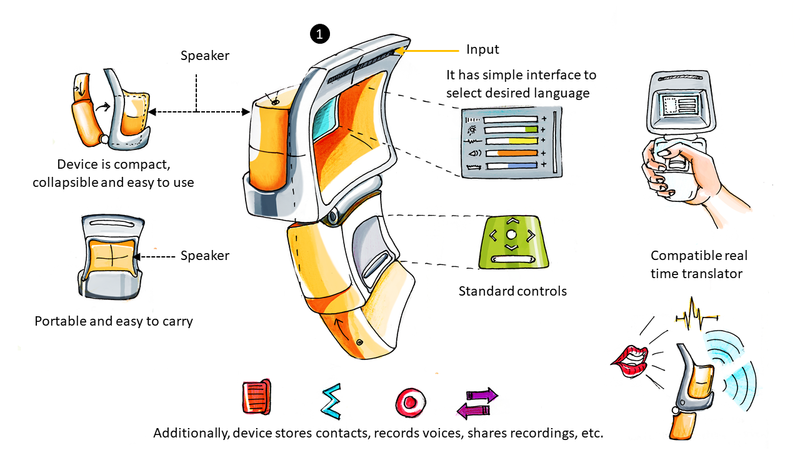 Through 'Translate the Task' product one can speak in his native language, and the product will convert the voice into the desired language for the person on the other side. It's portable, and one can carry it easily during any trip. 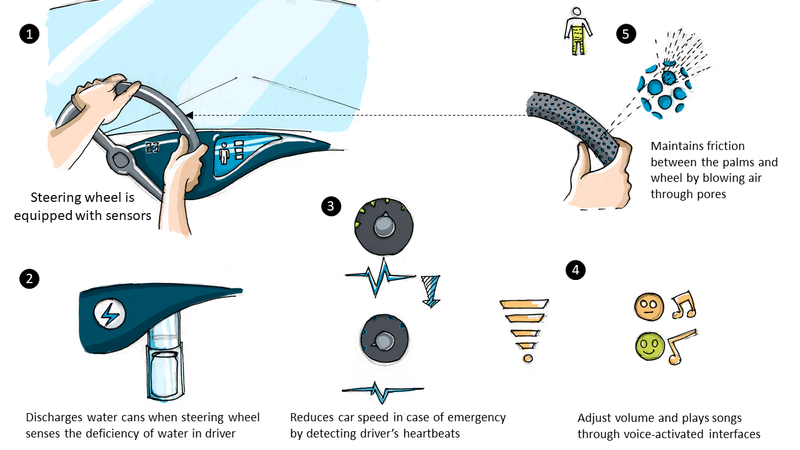 Have you ever imagined your vehicle alerting about health every 15 mins or 1 hr depending on your need? What if your car reduces the speed as per your heartbeats and dispatches a can of water when it senses dehydration in your body? Everything sounds so surreal or maybe the next step towards autonomous mobility where human health data can be integrated with the vehicle systems to facilitate seamless commute and lessen health-related fatalities during travel. I sketched few features that can impact the human health, mood, and behavior while traveling to different places and ensure utmost safety.